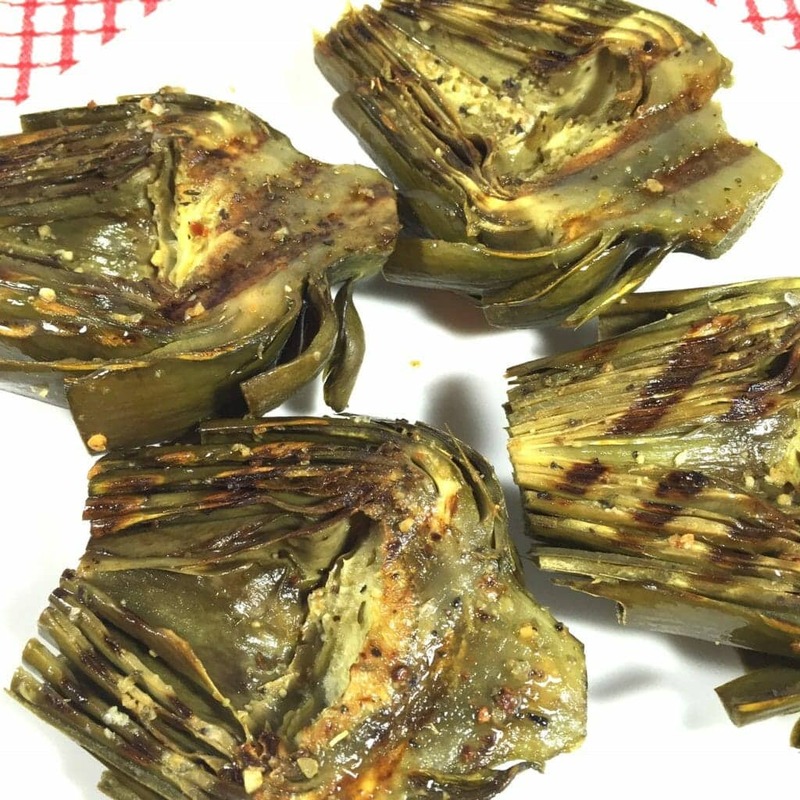 Mediterranean Grilled Artichokes is a dish you’ll be making again and again. It’s perfect for summer grilling. I have been in love with Artichokes for…like…ever. 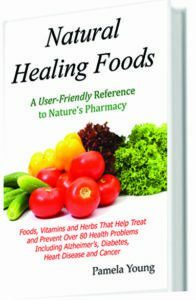 We lived in California where produce was abundant and we even grew apricots, walnuts, avocados and fresh herbs in our yard. But coming from Arizona, my parents didn’t even know what Artichokes were. So one day as Mom was at the market, she saw Artichokes on sale. My mother has never resisted a sale in her life, so of course she picked up a couple for herself and Dad. Unfortunately, Dad wouldn’t have anything to do with them, so she split the other one between my sisters and me. I think I was about 3 at the time and I couldn’t believe how wonderful they were. I wanted more! My sisters felt the same way, so Dad watched the rest of us loving every bite. Finally he said to my Mom, “Let me try a leaf.” From then on Artichokes became a staple in our house. Mom usually served them with mayonnaise. I mean, what could be better, right? So that’s how I served them for years. Then I discovered there were people who ate them with melted butter or even lemon butter. My husband loves his with Wasabi mayonnaise for a real kick. That is, until recently. 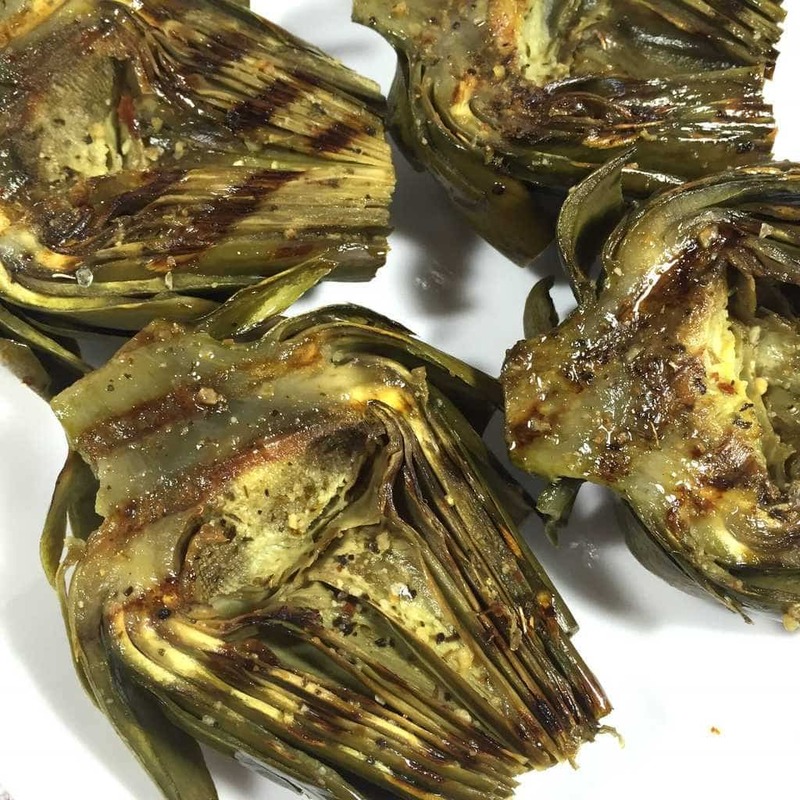 When I made Mediterranean Grilled Artichokes, we both agreed they were perfect without anything else. So this is my new…lower cal and much healthier…way to cook and serve Artichokes. And the best thing about them is that they are so easy to make. After trimming the artichoke of all the thorns, I cut them in half and scooped out the furry and feathery choke leaving just the leaves and that fabulous heart. I used to use a spoon to do this, but I soon discovered that a melon baller works so much better. And because Artichokes turn brown quickly when they’re exposed to air, I immediately rubbed the insides with lemon. Then I added the halved Artichokes to a steamer rack, and let them steam for about 25 minutes. For an extra more Mediterranean flavor I poured olive oil on a plate and added a squeeze of lemon juice and finally the herbs and slices. Then I added the hot Artichokes to the plate cut side down to soak up those wonderful flavors as I was heating up my Griddler. When it was ready I added the Artichokes and closed the lid for about 4-5 minutes until I saw great grill marks. They looked fabulous and tasted even better. 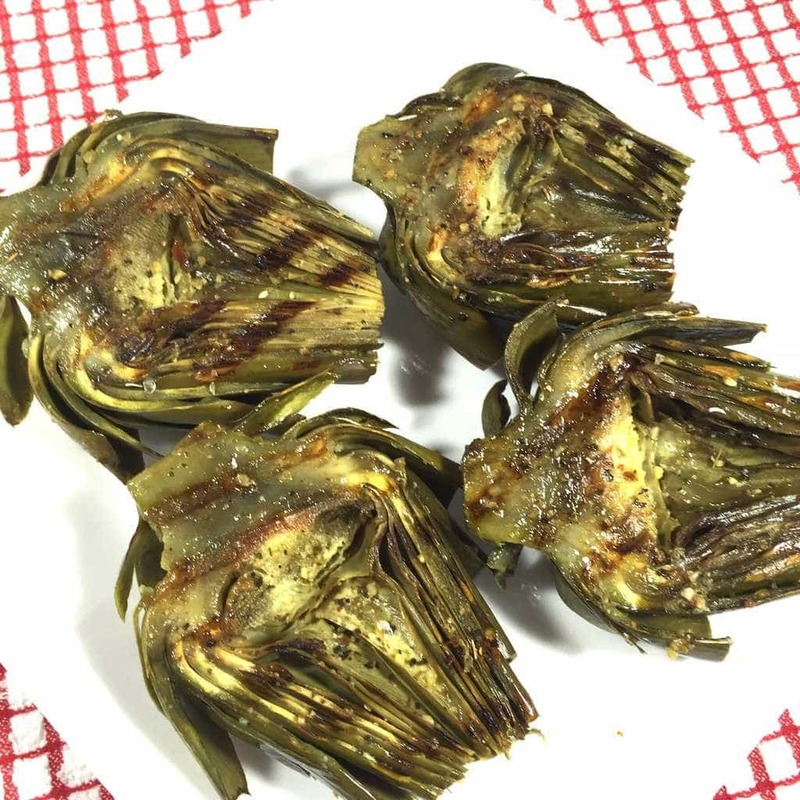 Mediterranean Grilled Artichokes are not only easy, but so delicious with the infusion of olive oil, lemon juice, garlic, thyme, oregano and rosemary. Thoroughly rinse artichokes. Cut 1/2" off top and 1/2" - 1" off stem. With scissors trim off thorns. Cut the artichoke in half lengthwise and using a melon baller, scoop out choke and feathery thistle leaving the leaves and the heart. Rub the cut sides with 1/2 lemon. Add the trimmed artichokes to a steamer over 1 1/2" to 2" of water. Cover and steam approximately 25 minutes. 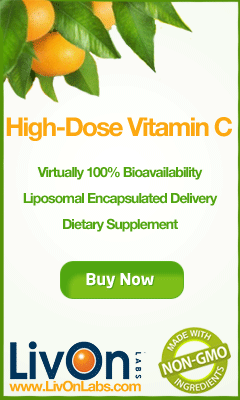 Add olive oil and 1/2 lemon juice to a plate. Then add oregano, thyme, rosemary and garlic salt to the olive oil/lemon juice mixture and swirl with a spoon to make sure all ingredients are are evenly mixed. Add the steamed artichokes to the plate cut side down and heat up the Griddler. When Griddler is hot add artichokes and close lid. Cook 4-5 minutes until grill marks appear.